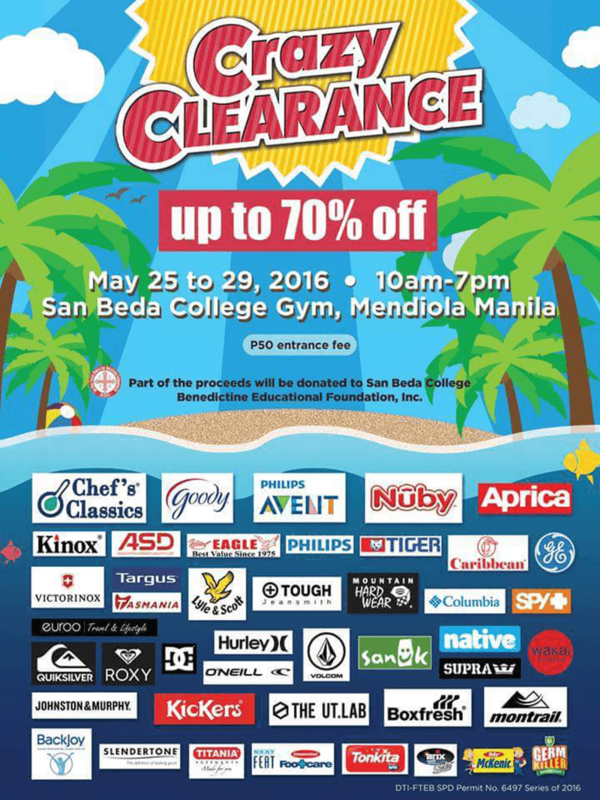 Just recently, we got an info from Targus that they joined the "Crazy Sale" event at San Beda College that started last May 25 and will end this May 26, 2016. That sale entitles you to get up to 70% discount on several Targus bags and even from other brands. In case you missed it, Targus is one of the most trusted makers of high quality, stylish, innovative and well crafted bags for your laptops, macbooks and etc. Most of the time, they're good as an all rounder for your travels, meetings, work and the likes. For Targus buyers, you'll get a FREE Watching Shopping bag worth 600 Pesos. Apart from Targus some brands of their mother company will also participate in the said event like Philips and Euroo. To join the said event is go to San Beda College Gym in Mediola Manila from 10 am to 7 pm and pay for 50 Pesos entrance fee. There's also an advocacy behind this as part of the proceeds will be donated to San Beda College Benedictine Educational Foundation, Inc.